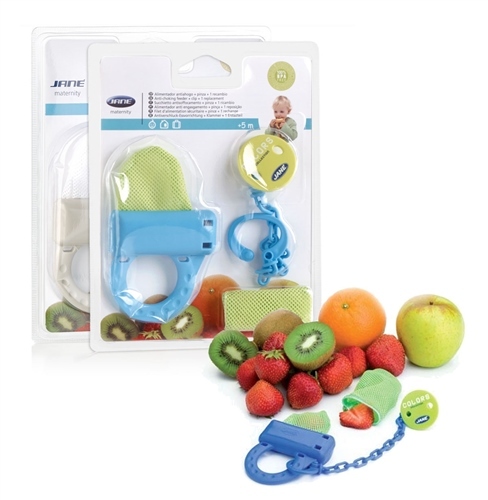 The JANE anti-choking feeder is ideal for the baby to start tasting new flavours. Fruit or biscuits can be put inside the net, then the net is fastened and closed with the plastic clip. The Feeder pack includes a spare net. The advantage of this net compared with the others on the market is that it weighs very little and the child can hold it easily and safely. Extra spare nets are available separately. Assorted colours, only one will be sent and colour picked at random.